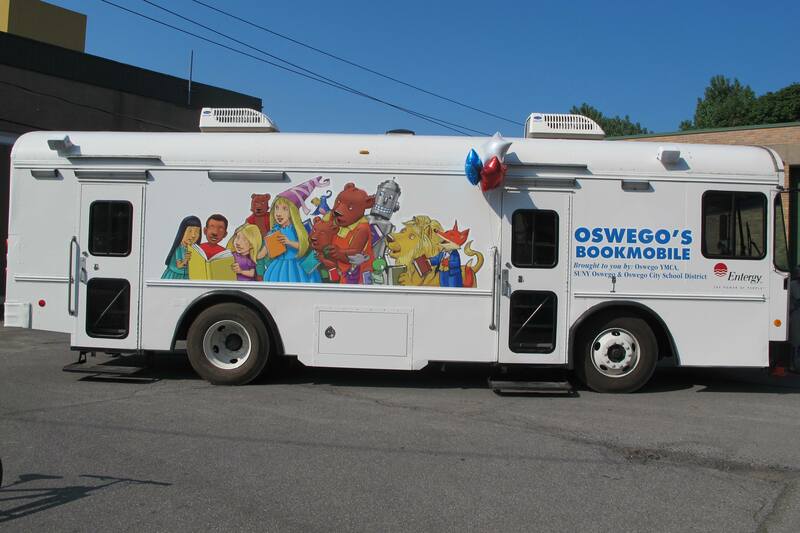 The Literacy Coalition of Oswego County (LCOC), is hosting a free literacy event, “One World, Many Stories,” 11:00 a.m. to 4:00 p.m. at the Oswego YMCA Armory, 265 W. 1st St., it was announced by Jeanne Cieszeski, event planning team chairperson. “The event promises to be a wonderful celebration of literacy and the joy of reading for all ages—from pre-school through adults,” Cieszeski said. “There will be a multitude of activities for families throughout the day. Among these are a free book giveaway station; a bounce house for kids, face painting, balloon animals, craft projects by CNY ARTS, food, and the ‘Driving Books Home’ Bookmobile (above). For more information about The Literacy Coalition of Oswego County, visit www.oswegocounty.com and click on the literacy coalition link.